Space is always tight in our lower layouts hall, but we’ve got a few weeks available to have the whole layout up, which gives us the chance to carry out some of the more major projects on track and wiring. We have had an incredibly productive day today with both new fast line loops completed …read more. We have started the building of our platforms on Ingatestone 00 which are of two types – traditional brick and the later extensions using a pre-fabricated concrete system (see header picture). This has meant we have been busy making prefabricated plastic components too! And they have to be laid out accurately so that the …read more. Ingatestone 00 is our demonstration layout on Thursday 20 April in the lower hall, and we hope to put up the four front scenic boards to help check for shorts and running. The Monday session was most productive, Mo and Tom put higher ends on the boards to protect all that “knitting” aka OHLE as …read more. Quite a lot of recent progress in the King’s Cross yard. The ramp to the Cally Goods & Coal Yard is now blocked out and in red oxide primer. It is red brick anyway, but will need detail cladding in our home made brick plastic. In the short-term it will be weathered in its current …read more. Following Putnam’s last showing at the London Festival of Railway Modelling in March, work has commenced on expanding the side of the layout away from public view. The storage sidings, now shared with the clubs a-building modern image OO gauge layout Ingatestone, are being increased from 8 to 13 lines. 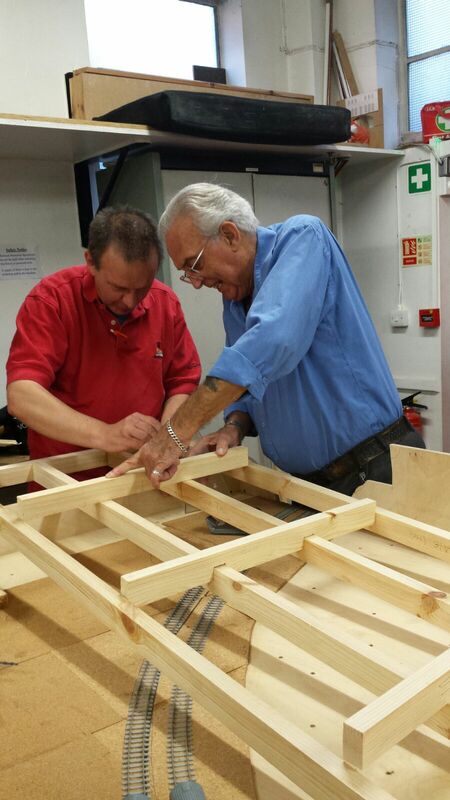 The Club’s carpentry whizz has …read more. 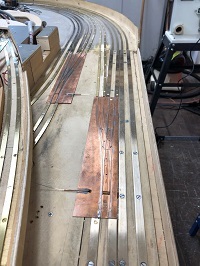 As you can imagine, we get a fairly steady stream of requests to help others make bespoke model railways, from a huge range of people – private individuals, TV and film productions and fixed installations in commercial premises. We aren’t in a position to help with most for all sorts of reasons (normally unrealistic budgets and timescales), …read more. One of the more frequent questions I get asked at exhibitions is how the track is built. Modelling in EM there isn’t much choice for anything other than plain track, but my track building goes back to my teenage OO days. Despite living only a couple of miles away at the time, I originally stumbled …read more. Progress on Ingatestone’s corner boards ! Today was a day of progress for the layout: A working party including Tom Slade and Lawrence Robbins worked on Boards 5 and 6 (the corner boards) to core the stretchers and prepare them for reinforcement. 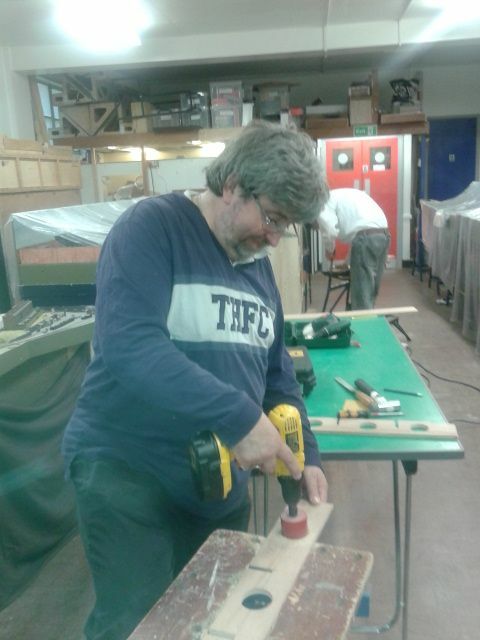 In the pictures, Lawrence is seen at work with the corer fitted to the power drill. If anyone is …read more. Baseboard joints are a necessary evil if you ever have to move your layout. Scenically they create what is often an obvious rift line across our otherwise beautiful handiwork, but operationally they can be a major cause of unreliability. So I try to make the joints as unobvious as I can, but robust enough …read more.